Zell am See: 3-family house "Haus Gander". 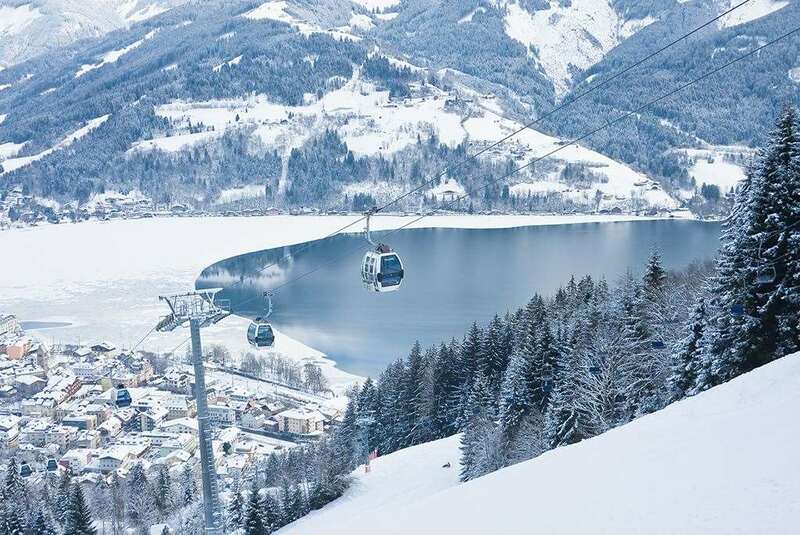 Above Zell am See, 1 km from the centre, in a sunny position. For shared use: garden, lawn for sunbathing. Garden furniture, barbecue. In the house: storage room for skis, central heating system, washing machine, drying room. Stepped path (16 steps) to the house. Parking. Grocery 1 km, restaurant 200 m, indoor swimming pool 1.2 km, public bathing area 1.3 km. Cable car 500 m, ski bus stop 30 m. Please note: There are more similar properties for rent in this same residence. Property ref. AT5700.210.1+2 is situated on the same property. The house is divided into 3 apartments (2 of which are rented out as holiday homes) and situated halfway between the Zeller mountain cableways and the base station of the Schmittenhohe and Sonnenalm cableways. When snow conditions are good, it is possible to ski back to the house (lovely views). Beautiful view of the surrounding mountains. Driveway with easy access to the house. 4-room apartment 96 m2, on the mezzanine, comfortable and modern furnishings: entrance hall. Living room with cable TV. 3 double bedrooms. Open kitchen (oven, dishwasher, 4 ceramic glass hob hotplates, microwave, freezer, electric coffee machine) with dining table. Shower/WC, sep. WC. Large terrace. Terrace furniture. Facilities: Internet (WiFi). Reserved parking, garage. Please note: non-smokers only. 1 pet/ dog allowed. 1 of the 3 double bedrooms is a connecting room. The living room has a cosy seating area. The apartment is located on the first floor. Only for this apartment: shower in the basement.